The debate over the doctrine of election has been with us for centuries. Most theologians don’t assume it will be settled this side of eternity, but every once in a while someone comes along who suggests a new angle on the subject. Enter, Stephen Williams, professor of Systematic Theology at union Theological College in Belfast. Williams doesn’t necessarily think his work on the subject is really going to settle the debate, but he does propose that we’ve been looking at the issue from the wrong perspective. He argues that while we are often concerned with a systematic presentation of the doctrine, we need to shift our focus to a narratival approach. This proposal has immense potential, yet Williams falls far short of articulating it. Election of Grace promised more than it delivered. It is only through an understanding of each “election text” within its own context that we can really understand the doctrine of election as presented within the Bible. It is through a narrative reading of the Scriptures, then, that we can see this tension and are forced to embrace its coexistence. 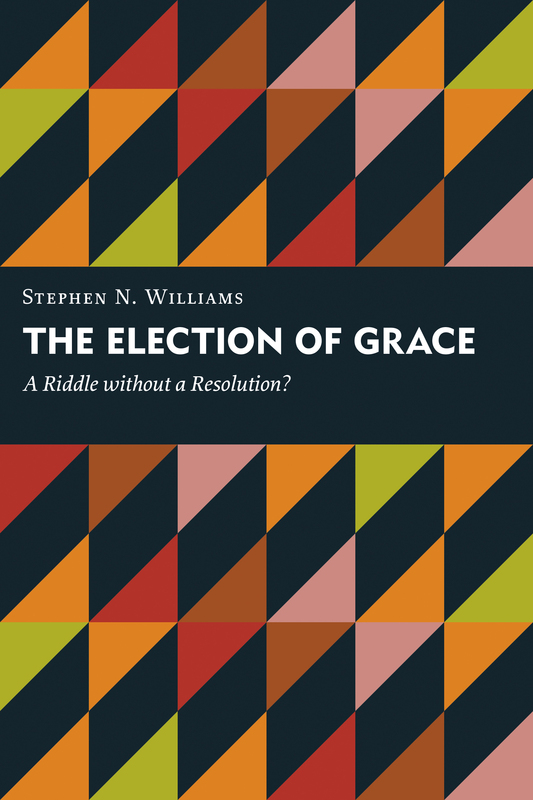 Williams begins his book with this narratival theology, examining a biblical theology of election. He starts, in chapter 1, with the Old Testament, and demonstrates some of the diversity of usage for the concept. I was captivated by the different ways in which the concept is applied to Israel, and to sub-groups within Israel. Williams demonstrates, very convincingly, that the concept does not generally have an eternal nor salvific component to its usage in the OT. Often election in the OT refers to ordination for service and special privilege of communion. This was fascinating to read and quite revealing about the ways in which theologians have allowed their systems to bias their reading of these passages in the OT. When, however, Williams turns to the NT he shifts gears completely. He turns from this comprehensive look at the diversity of usage to focus his attention on one passage, Acts 13:48. “There would appear to be,” says Williams, “no starker statement of predestination in the narrative portions of the NT…” (64). So, despite making mention of the diversity of elections in the NT too (of Mary, Jesus, the disciples, Paul, and the Gentiles), Williams limits himself largely to focusing on one passage. Even his interaction with the Gospel of John is largely centered around its relation and comparison to Acts 13:48. This is a strange shift, one that seems to contradict so much of what Williams has set up the reader to expect. It is a major weakness, I believe, in the development of his approach. As he shifts gears to talk about dogmatics directly – limits and challenges in chapters 3 and 4 – the reader may feel a sense of uncertainty about what exactly Williams is doing. The book, based off of the author’s Kantzer lectures at Trinity, seems to lake a clear development. By the end of the work it seems that he is arguing against double predestination and in favor of single predestination. No doubt many will sympathize with his arguments, though why he takes this approach remains obscured. Even his defense of single predestination seems to rely simply on his argument that you can’t look for double predestination in the text, though it remains unclear exactly why.